Relive those nostalgic days gone by at the lake. Located just off Lake Camelot, and equally close to Lake Sherwood, this lake access cabin has everything you need to get reacquainted with the Great Outdoors! Recently updated with added comfort and convenience, and perfectly nestled amongst the whispering pines for seclusion, this cabin is a modernized version of yesteryear's family cottage. Features include a great room design, full bath, two bedrooms, a huge screen porch (new), a rock-solid deck to match, large wooded yard with fire pit, new garage, and shed. Other recent improvements include fresh paint, new flooring (nice), and new forced air furnace. For watersports fun, the expansive Inverness Beach Club on 445-acre Lake Camelot is just down the street � a street you can ride your ATV or golf cart on! 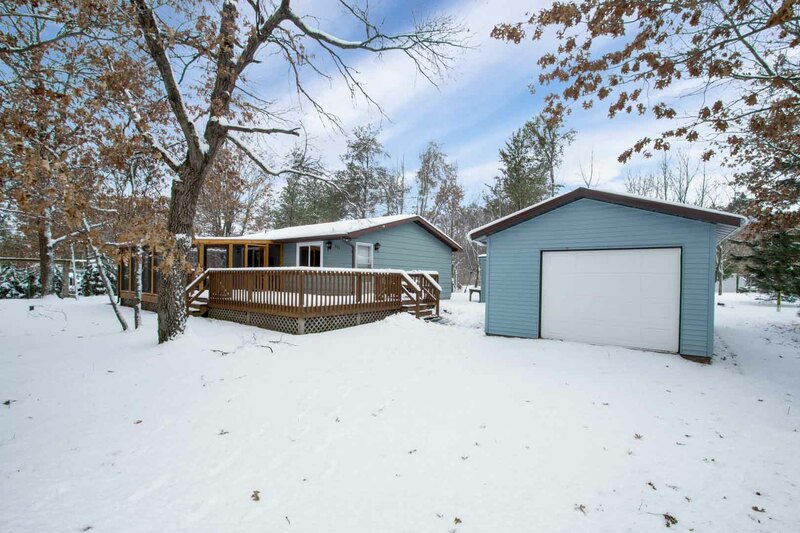 In Rome � home of Sand Valley Golf Resort, Lake Arrowhead�s championship golf courses, Wisconsin Trap Shooters Home Grounds, ATVing, snowmobiling, and 1000�s of acres of public-use forest lands for hiking and hunting. Come to Rome and go nuts! Garage: 1 1/2 Car Detached. Porch: 15x16 Screen Porch. Very Nice! Location: Near the Inverness Beach Club. Short walk to lake.